Welcome to Hot Pot Pottery! At Hot Pot Pottery we also run The House of Bread (self-catering/B&B accommodation). So if you were looking to stay with us and add some creative flair to your holiday you could either book a Pottery Painting Session or enjoy 10% off the cost of our Pottery Trial Classes (exc. delivery) OR you might be interested in making your holiday into a Creative Break! 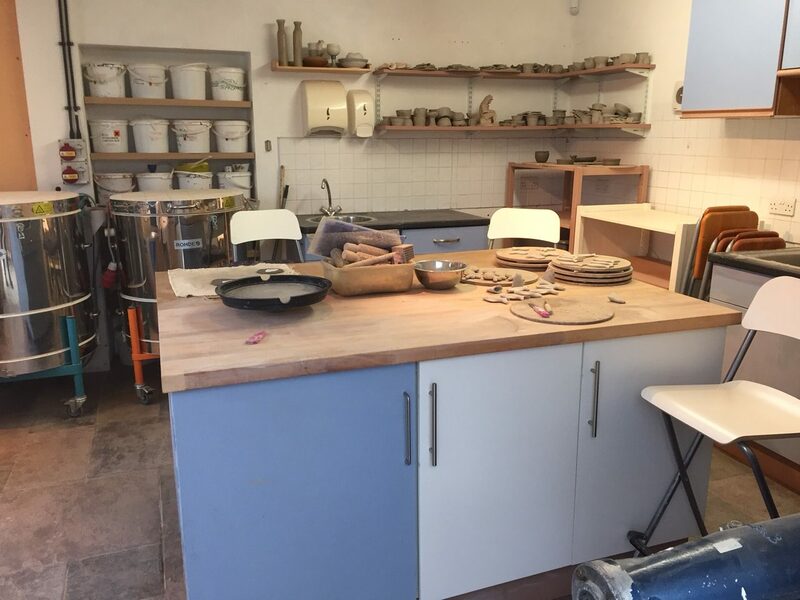 In this way we can design a series of pottery classes in our studio based on your stay whether that is just for a few days or a week and you can have a go at other techniques not covered during our Pottery Trial Classes such as extruding, coiling, slab building and details such as turning and handles. We can look at things in more depth and (depending on our studio schedule) you could get involved in glazing and learning to load kilns. Contact us to let us know what you would like to do and when you want to come and stay and we will put together a package just for you! NB: Min 2 people. 2 night stay B&B or 3 nights self-catering. Click here – to see our Cancellations/No Show Policy.